“Spectre” also features Total Ride Control® technology by Naiad Dynamics. With the collaboration of Mulder Design, this is the first time that technology developed by Naiad Dynamics for commercial vessels has been adapted for use on this type of yacht. The system significantly improves the cruising stability of “Spectre” and on-board comfort using two roll stabilizing fins, two forward pitch control canards and three independently controlled stern interceptor blades. The sporty exteriors by Giorgio M. Cassetta accommodate generous interiors, in a dialogue characterised by influence without imposition. The decor, designed by the Benetti Interior Style Department, has a modern feel embellished by steel detailing and sculpted glazing. The atmosphere conjures up the 1930s Art Deco style found in New Orleans and Florida, which in turn draws its inspiration from late 19th century French Liberty style. 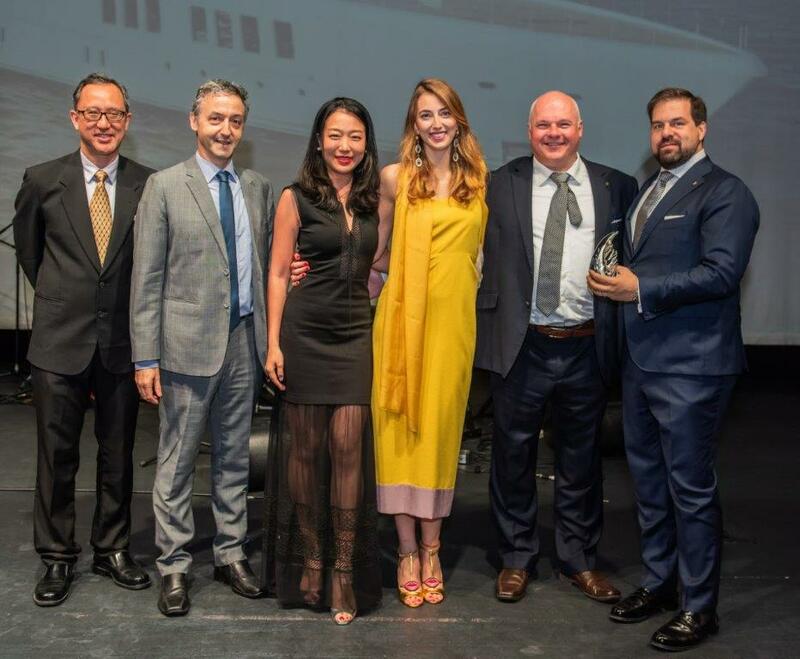 The award confirms Benetti’s success and the shipyard’s ability to build innovative, cutting-edge custom yachts. And it is no coincidence that the first phase of the Benetti Giga Season has now been successfully completed, with the launch of three giga yachts in the space of just 100 days, including the 108-meter Benetti fleet flagship FB275.